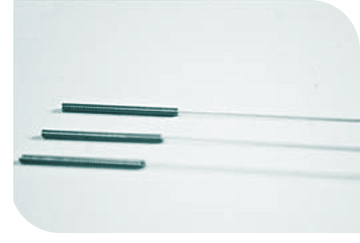 In the Western Medical form of acupuncture, practitioners consider the physical and chemical effects the insertion of needles may have on 'trigger' points or acupoints. Trigger points are sensitive spots, often situated where nerves leave or enter muscles or tissues. Inserting a needle at these points stimulates the nervous system to release chemicals in the muscles, spinal cord, and brain. These chemicals will either change the experience of discomfort, or they will trigger the release of other chemicals and hormones which influence the body's own internal regulating system. The resulting improvement in biochemical balance results in stimulation of the body's innate healing abilities, and promotion of physical and emotional well-being.